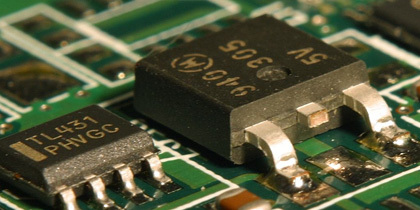 In collaboration with manufacturers of power converters, SIG coordinates the different phases of the development of prototypes, controls and components. 25kW full power converter for wind turbines using a permanent magnets machine. 2KW 3-phase converter for wind turbines with permanent magnets machine. 5KW resonant DC/DC converter for photovoltaic applications. Simulation models are used to demonstrate grid code compliance worldwide. PSSE and PSCAD models are normally used for complementing the grid integration studies in aspects like capability of the plant, voltage response, frequency response, harmonics, fast transients (EMT simulation), etc. SIG performs electrical and electronic safety studies in installations with power converters, analyzing the effects of voltage and current harmonics, voltage spikes, and even detecting risky situations that may cause a breakdown. Evaluation and consequences of overvoltages in wind turbine transformers of 350kVA and 100kVA. Estimation of life expectancy reduction produced by overheating or overloading in 2MVA transformers of photovoltaic installations. 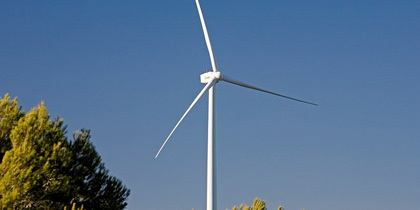 SIG offers advice on and programming of control techniques for high-power wind turbines with the aim of analyzing new proposals for blades and towers tipologies. 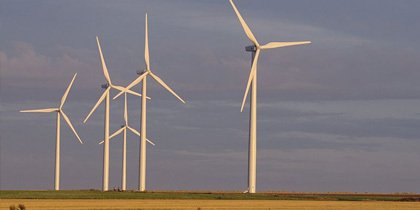 These developments are revised using the GH-DNV’s Bladed simulation platform and are expected to optimize the design of blades and towers for large wind turbines from 1.5MW to 10MW. The project consists of the integration of wind, photovoltaic and storage power (with batteries) to feed loads in an isolated system. SIG defines the strategies of the supervisory control that coordinates the operation of the different generators of the installation according to the demand of power in real time. As well as this, SIG advises on the best topologies of power conversion, provides accurate models of simulation and defines control strategies for the power converters of the different generators. The project consists of the estimation of energy losses in the internal distribution system of a 30 MW wind farm for several consecutive years. For this analysis, SIG has collected the information about active and reactive power, voltage level and temperatures (ambient and soil) to calculate the energy losses in all transformers and cabling. Other results are the estimation of a potential overheating in some conductors that may lead to their early breakdown or notably reduce their life expectancy. SIG analyzes the loss of opportunity of electrical production in a photovoltaic installation of 75MW, as a consequence of a non-optimized power conversion system. The first step has been a theoretical study to know which are the requirements to be met in order to obtain the maximum production available, and so characterise the most important parameters and their influences. These models allow the comparison of potential productions with real measurements, offering methods of estimation of losses and also solutions to maximise power production for current or future photovoltaic plants. SIG has been evaluating some opportunities to integrate different electricity generation technologies into weak grids, such as in small islands or places away from the grid, or even in places with no electrification, as in some mining facilities located in deserts. For an accurate analysis of these systems, SIG has been working on the development of tools and models to emulate the real behavior of the physical components, which also implies an accurate modelling of hardware and their controls. The feasibility analysis of the best developed options is usually carried out by studying economic studies over 25 years, which also requires taking into account different estimates of energy prices, components prices, replacement costs and amortizations, O&M costs, etc.. 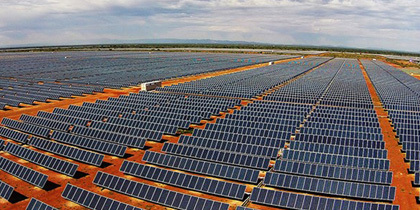 Grid codes in some countries have come to be in high demand for photovoltaic systems during the last few years. An example of such are the current power ramp limitations that are a consequence of the solar radiation variations. In these cases, to reduce these power variations,it is common to include an energy storage system alongside the photovoltaic generator, usually based on electrochemical batteries. The definition of these systems usually offers several degrees regarding topology, size or ratings on key components, management strategy and even control rules. In general, power converters are safe and include several hardware protective means (fuses, circuit breakers, etc) and also specific surveillance in their control systems. However, power converters are highly complex systems and sometimes an internal insulation breakage may cause a current too low either to be detected or to be capable of tripping protective means. In some cases, these uncontrolled currents may be potentially very damaging or even catastrophic, producing burning of components, of the whole converter and even the nearby facility. SIG has recently worked on a project aimed to detect electrical potential risks in power converters in a 50 MW wind farm in the USA. These studies have been approached using information provided by the client, modeling the systems for their detailed simulation and later assisting in field testing and prototyping for the validation of the proposals. SIG advises on particular problems in the so-called weak grids (remote and not highly interconnected electrical grids, like in islands), participating in the definition of physical systems, interpretation of results and search for solutions to detected problems. In order to analyze the behavior of the renewable generation in these grids, heavily dependent on their electronic power converters, it is advisable to use EMTP simulation platforms like PSCAD, DigSilent, PSIM or similar. Recently SIG has participated in finding a solution for a problem of instability due to subsynchronous resonance in parks of the USA. SIG conducts training in power electronics, mainly aimed at getting to know the applications and effects in the electrical networks. It directly addresses the problems generated by the use of power converters and their solutions, mainly via the main electrical simulation softwares, like PSCAD or DIgSILENT. controls start with standard developments and with a certain level of particularization of the torque and pitch controls for the analysis of these new turbine concepts. All the developments are programmed in C ++ and validated with the results of the Bladed simulation platform of GHDNV. 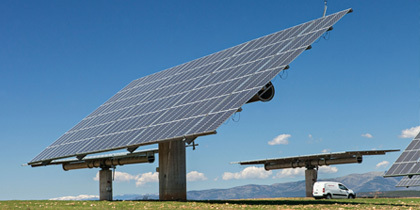 We perform a wide variety of studies for the most frequent problems in the operation of PV plants. Evaluation of the plant’s annual energy loss, due to limitations in the power converters. Proposal of solutions to optimise the installation. Evaluation of reactive power control, limitations and proposal of solutions. Evaluation of the deterioration of Power converters and maintenance needs to minimize stops. Reduction of stops in power converters, maintenance and deterioration evaluations. Evaluation of the loss in life span of dry transformers and insulation deterioration due to working conditions. Evaluation of power loss in DC cables and in MV AC circuit. Real time estimation of cable temperatures in different parts of the LV and MV circuits, considering weather conditions. Detection of the installation’s critical points and evaluation of the operating temperature. Studies performed in C ++ or VBA, allowing you to automate analyses from the SCADA registered data, facilitating the visualization of the conditions of the plant as well as facilitation decision-making. This project studies the capabilities of a batteries storage system to give support the electricity network. A RMS model formed by several modules incorporate some controls techniques in order to emulate the behavior of the storage system in the compliance of different grid codes. Differents events in the network are modelled, simulating the batteries storage system responses: energy charge flow, maximum currents, etc. and the consequences on their premature aging. The model has been made on the DIGSILENT platform.